For the first time, Chanel tells its story online at http://Inside-Chanel.com. Chapter 1: the legend of N°5. Journey back in time through the Chanel archives into the heart of this magical perfume, beginning with the revolutionary moment of its creation. Update: Sorry, Brad, this doesn't do it for me. I watched it earlier this week and found it fascinating and magical. 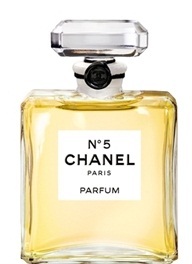 Chanel #5 remains my favorite perfume. Rosemary, one of my FB friends posted it there, drawing my attention to the video. I have watched it twice. I love the messaging, but also the breathless pace of the narrative. So good! I'd love to find a vintage bottle. Yes, it's the pacing! It makes one excited. I'm glad you said it first about Brad. I just got an email notification and watched it. Um. You know I adore Chanel, but I am confused as to what they were thinking here. And I say that as someone who has seen and enjoyed almost all of Brad's movies. 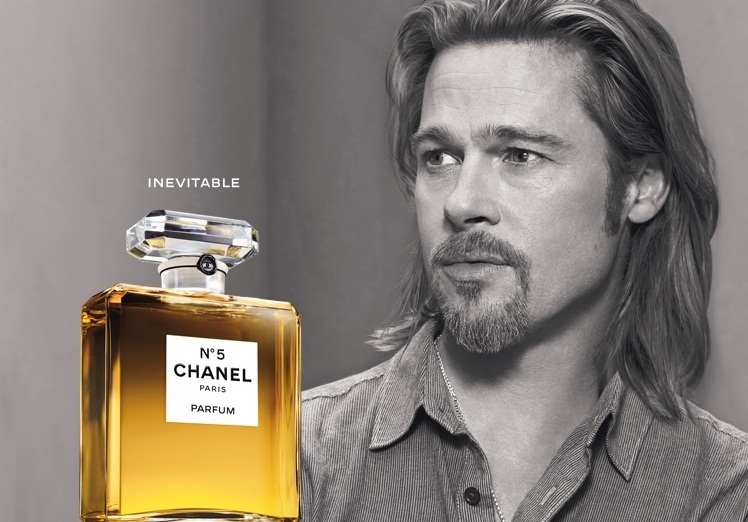 Maybe I'm in the minority, but I'm very disappointed in Chanel's decision to use Brad. He just doesn't appeal to me. He doesn't even look clean. Why did they select him? Brad has always had a home-spun, rough hewn look about him. He's handsome to be sure, but there is no elegance or sophistication there. I can't even begin to fathom why Chanel chose him to sell No. 5. Time will tell, Rosemary. If there is a jump in sales, Chanel will proclaim the Brad idea brilliant. If not, he will quietly disappear from Chanel ads. I think you are in the majority. There might have been a time for Brad. Now he looks like a scruff ball. Me either, Eileen. George would have been a more elegant choice. Love the perfume (and most of variations - Sensual Elixir, new Premier one..), but Brad-in-need-of-ironing-and-grooming?.. C'mon, give me a classy man for a classy thing. They could at least dress him better..